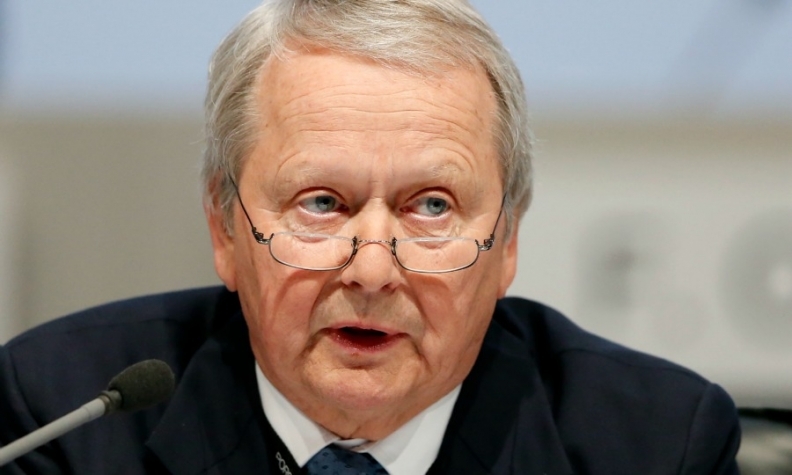 Wolfgang Porsche says new VW strategy will ensure higher future dividends. FRANKFURT -- The Piech and Porsche families who control Volkswagen Group displayed unity ahead of next week's annual shareholder meeting, just as the carmaker is reshaping its business following a diesel emissions scandal. In an interview published in the German tabloid Bild, supervisory board members Wolfgang Porsche and Hans Michel Piech brushed aside reports that alleged the two powerful family clans were not acting in concert. "There can be no talk of quarrels," Piech told Bild. "We deem contentious debates to be right in a big shareholder family." Sources had previously told Reuters that members of the families, who control a 52 percent stake in VW through holding company Porsche SE, considered calling for the dividend to be scrapped at next week's annual meeting, a move that would oppose VW's supervisory board. But a spokesman on Thursday said Porsche SE had decided to vote in favor of the proposal by Volkswagen's boards to pay a small dividend, and had cancelled a supervisory board meeting of Porsche SE that had been called for Monday to discuss it. Porsche and Piech further voiced their support for supervisory board Chairman Hans Dieter Poetsch in the interview, calling him the "right man for Volkswagen" in difficult times. "We are fully standing behind Hans Dieter Poetsch," Porsche told Bild. VW is battling to overcome the biggest crisis in its 79-year history after it admitted in September to cheating U.S. diesel emissions tests. Volkswagen on Thursday announced its new company strategy and said it would invest billions of euros to become a world leader in green transport by 2025. "We are optimistic and, jointly with the other people in charge, stand behind this strategy unequivocally - something we made clear within the supervisory board," Piech said in the interview. Porsche added this was the only way to safeguard jobs and ensure higher dividends in the future. VW proposed in April a 2015 dividend of 0.11 euros per ordinary share and 0.17 euros per preferred share, down from 4.80 euros and 4.86 euros respectively for 2014.